Be the first to share your favorite memory, photo or story of Judith . This memorial page is dedicated for family, friends and future generations to celebrate the life of their loved one. 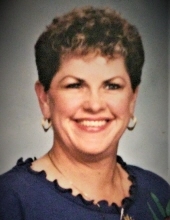 A service of remembrance for Judith Anne Dorsett, age 78, of Oakwood, will be held 11 A.M., Saturday, February 2, 2019 at Stewart Memorial United Methodist Church in Buffalo, Texas. The service will be officiated by Rev. Paula Behrens, pastor of the church. Judith Anne Dorsett was born August 26, 1940 in Houston, Texas and passed away January 8, 2019 in Bryan, Texas. Her parents were Robert and Maurine (Cullum) Chapman. She earned a Bachelor’s Degree from Sam Houston State University and a Master’s Degree from Baylor University. Judith retired as a public school teacher where she had taught at numerous schools in the greater Houston area for thirty years. She had also taught, for a short period of time, for the state prison system in the Beto Unit. Judith loved and cherished her many years as an educator. In 1983, she and her late husband purchased land in Leon County. At that time, Judith was still teaching and would stay in Houston during the week for work and drive back to Leon County on the weekends. Once Judith retired, she settled well into country life. She was a member of Stewart Memorial United Methodist Church in Buffalo and was also a proud member of the Leon County Retired Teachers Association. Judith loved to read and entertain, and she enjoyed hosting parties and gatherings. She was also a staunch Republican and very knowledgeable of events going on in the world. Judith was preceded in death by both of her parents; husband, Lawrence Dorsett and sister, Bobbie June Zinnecker. She is survived by daughter, Tana Delisse McDaniel of Oakwood; grandchildren, Jackson Keith McDaniel & Emerson Anne McDaniel, both of Oakwood and nieces, Susan Maurine Poole of Charlotte, NC and Valarie Lucille Manis of Houston. Judith is also survived by many extended family and friends. Walters’ Buffalo Funeral Home in Buffalo, Texas is entrusted with arrangements. To send flowers or a remembrance gift to the family of Judith Anne Dorsett, please visit our Tribute Store. "Email Address" would like to share the life celebration of Judith Anne Dorsett. Click on the "link" to go to share a favorite memory or leave a condolence message for the family.